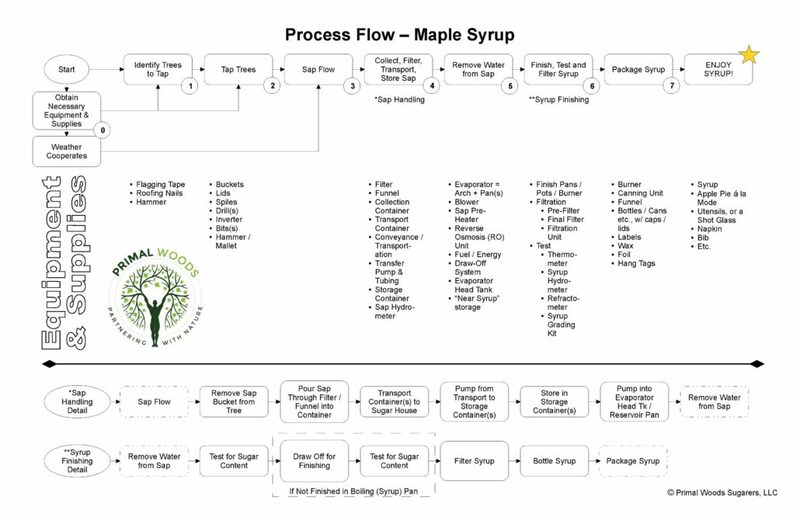 I’m hoping and praying we are a little shy of the mid-point in this maple syrup season, at least as regards maple syrup production, but I think it’s likely that we are at about that point. I plan for sap flow for 4 to 6 weeks from initial tapping, and we tapped February 16-18; gee whiz, now that I look at it we just passed the two week point. Seems like it’s been a lot longer than that! Okay though, I’m grateful for at least the possibility of more sap flow in front of us than behind us. There is a little break in the action here, no evaporation today, and it looks like we are nearing the end of Sap Run 3; I will evaporate the last 400 gallons from Run 3 tomorrow, and that should yield 9-10 gallons of syrup. And, this break gives us a little time to make some additional process improvements, and to reflect on, naturally, what has gone well, and what hasn’t gone well. Let’s get to it. The Quarter-Sawing Process, and Problems, Oh No! https://primalwoods.com/wp-content/uploads/2017/03/2_quartersawn_729.jpg 306 729 John Newell https://primalwoods.com/wp-content/uploads/2016/04/logo200.png John Newell2017-04-12 08:23:452017-04-12 08:36:25The Quarter-Sawing Process, and Problems, Oh No! This season was disappointing in some ways, and a grand success in others. On the disappointing end of the spectrum, is the low yield this year. This low yield was due to a confluence of factors, some within our control, and some not. We got into the woods late, we tapped late, as our process was not yet ready for sap. We started tapping, and collected the first sap, on the 28th of February, all 100 taps were not in until March 3rd. The weather did not cooperate very well. We had a couple of decent snows, but it warmed up so quickly that the snow melted in a couple of days. 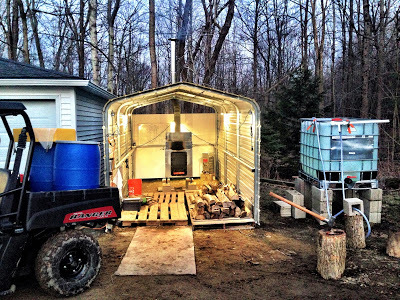 In prior years we had used snow to keep our sap cool until we could get it processed; no such luck this year. The result of insufficient cold storage was that some sap never made it to the evaporator. By March 13th I was evaporating the last of the sap, and there was no sap flow favorable weather in the 10-day forecast. In this installment will be documented the moving of the bricked arch to the sugar house, leveling the arch/evaporator, installing the stack, and the first (test) boil using water and baking soda. Part 1, “Assembling the Leader Evaporator Half Pint – Part 1 of 4,” can be found at https://primalwoods.com/assembling-leader-evaporator-half-pin-3/, and Part 2, “Assembling the Leader Evaporator Half Pint – Part 2 of 4,” can be found at https://primalwoods.com/assembling-leader-evaporator-half-pin-2/.